Fred Milanowski was selected in August 2016 as the Special Agent in Charge of Houston Field Division for the Bureau of Alcohol, Tobacco, Firearms and Explosives (ATF). He is responsible for ATF operations throughout southeastern Texas. ATF is a key law enforcement agency within the U. S. Department of Justice that protects our communities from violent criminals, criminal organizations, the illegal use and trafficking of firearms, the illegal use and storage of explosives, acts of arson and bombings, acts of terrorism, and the illegal diversion of alcohol and tobacco products. The men and women of ATF perform the dual responsibilities of enforcing Federal criminal laws and regulating the firearms and explosives industries to protect against crime, violence, and other threats to public safety. Prior to his selection Mr. Milanowski was the Deputy Assistant Director in the Office of Public and Governmental Affairs (PGA), responsible for five divisions including Public Affairs, Legislative Affairs, Intergovernmental Affairs, Digital Media and the Disclosure Divisions. Prior to PGA, Mr. Milanowski was an Assistant Special Agent in Charge (ASAC) in both Milwaukee, WI and Phoenix, AZ. As an ASAC in the Phoenix Field Division, he oversaw a staff of 38 Special Agents, 5 Intelligence Research Specialists, and 6 support staff. The Phoenix Field Division is responsible for conducting criminal investigations in Arizona and New Mexico, though ASAC Milanowski oversaw operations in Central and Northern Arizona. 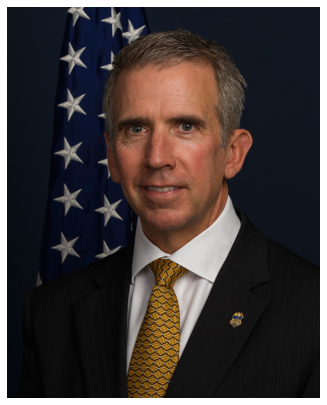 Mr. Milanowski began his career with ATF in 1990 and previously served as a Special Agent Criminal Investigator, a Program Manager and ATF representative to the Utah Olympic Public Safety Command for the 2002 Winter Olympic Games. In addition, he served as the Resident Agent in Charge of the Portland, Oregon, field office; an Internal Affairs Investigator and a Congressional Liaison Officer. In 1997, Mr. Milanowski received the United States Attorney’s Distinguished Case Award in recognition of the investigation of the Devils Disciples Motorcycle Club for firearms trafficking, the distribution of methamphetamines, and a double homicide. In 2000, he received an Organized Crime Drug Enforcement Task Force award for the investigation of the David Rickets et al., drug-related murder conspiracy. Prior to joining ATF, Mr. Milanowski served as Police Officer on Mackinac Island, Michigan. He holds a Master of Science in Criminal Justice from Michigan State University and a Master of Military Science from the United States Marine Corps University. During his career as a Special Agent, Mr. Milanowski has served as a Certified Explosive Specialist, a Special Response Team operator and a medic.